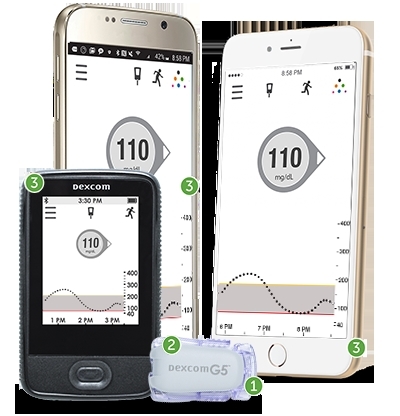 The U.S. Food and Drug Administration today permitted marketing of the Dexcom G6 integrated continuous glucose monitoring (iCGM) system for determining blood glucose (sugar) levels in children aged two and older and adults with diabetes. This is the first type of continuous glucose monitoring system permitted by the agency to be used as part of an integrated system with other compatible medical devices and electronic interfaces, which may include automated insulin dosing systems, insulin pumps, blood glucose meters or other electronic devices used for diabetes management. Today’s authorization also classifies this new type of device in class II and subjects it to certain criteria called special controls. This enables developers of future iCGM systems to bring their products to market in the least burdensome manner possible. Nearly 10 percent of Americans have diabetes, which impairs the body’s ability to make or properly use the blood glucose-regulating hormone insulin. They must regularly monitor their blood sugar levels since continuously high blood sugar levels can lead to heart disease, stroke, blindness, kidney failure and nerve damage leading to amputation of the toes, feet or legs. Blood sugar levels can also fall too low, which can cause dizziness, confusion, unconsciousness and, in extreme cases, death. Continuous glucose monitoring systems that were first marketed had a different intended use and were evaluated through the FDA’s premarket approval pathway, the most rigorous review designed for the “highest risk” class III medical devices. However, the Dexcom G6 system is intended for a more seamless integration with other diabetes devices, and the FDA recognized this as an opportunity to reduce the regulatory burden for this type of device by establishing criteria that would classify these as “moderate risk” class II medical devices with special controls. With the authorization of the Dexcom G6, future iCGMs that meet the special controls criteria can go through a more streamlined premarket review known as 510(k) clearance. The Dexcom G6 is a patch device, about the size of a quarter, that is applied to the skin of the abdomen and contains a small sensor that continuously measures the amount of glucose in body fluid. The device transmits real-time glucose readings every five minutes to a compatible display device such as a mobile medical app on a cell phone and will trigger an alarm when a patient’s blood sugar enters a danger zone soaring too high or dropping too low. If it’s integrated with an automated insulin dosing system, a rise in blood sugar would trigger the release of insulin from the pump. The patch device should be replaced every 10 days. An earlier generation of the technology, the Dexcom G5 system, received FDA approval in 2016 but was not designed as an integrated system to be used with compatible devices. Unlike the earlier model, the Dexcom G6 version is factory calibrated and does not require users to calibrate the sensor with fingerstick blood glucose measurements. In addition, it has an updated sensor probe that minimizes interference with the pain reliever acetaminophen. The FDA evaluated data from two clinical studies of the Dexcom G6, which included 324 adults and children aged 2 years and older with diabetes. Both studies included multiple clinical visits within a 10-day period where system readings were compared to a laboratory test method that measures blood glucose values. No serious adverse events were reported during the studies. Risks associated with use of the system may include hypoglycemia (low blood sugar) or hyperglycemia (high blood sugar) in cases where information provided by the device is inaccurate and used to make treatment decisions or where hardware or set-up issues disable alarms and alerts. Patients may also experience skin irritation or redness around the device’s adhesive patch. 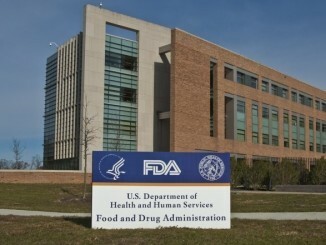 The FDA reviewed data for the device through the de novo premarket review pathway, a regulatory pathway for novel, low-to-moderate-risk devices that are not substantially equivalent to an already legally marketed device. Along with this authorization, the FDA is establishing criteria, called special controls, which outline requirements for assuring iCGM devices’ accuracy, reliability and clinical relevance as well as describe the type of studies and data required to demonstrate acceptable iCGM performance. These special controls, when met along with general controls, provide reasonable assurance of safety and effectiveness for this device. The FDA granted marketing authorization to Dexcom, Inc.